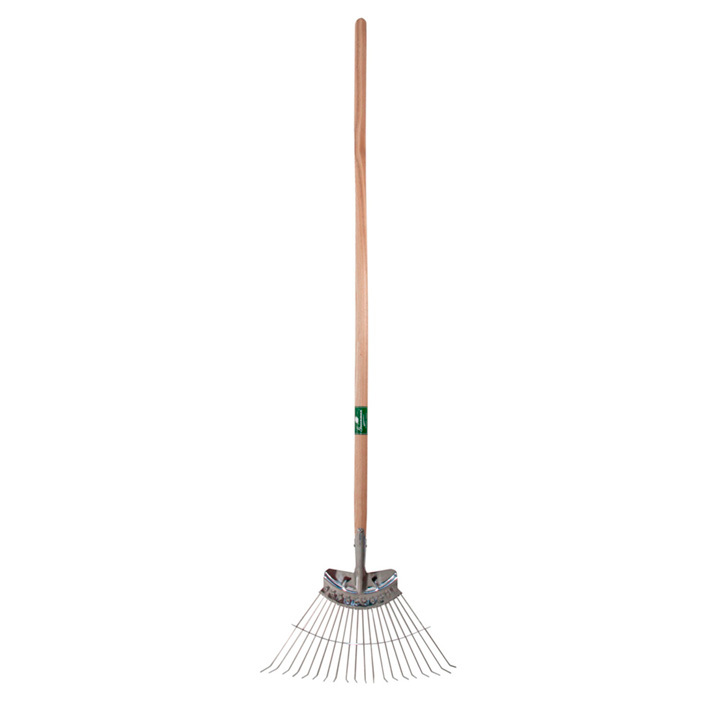 Like all Greenman quality garden tools, this stylish and well-made rake will give you many years of faithful service. Ideal for people with bad backs, it features a long-reach sculpted ash handle, with a tapered waist and a knobbed end. Perfectly balanced and a pleasure to use, ideal for removing thatch from lawns and raking up grass clippings. The angled tines ensure a good and consistent amount of contact with the ground. Length 1.6m (5’4”), width 43cm (17”).